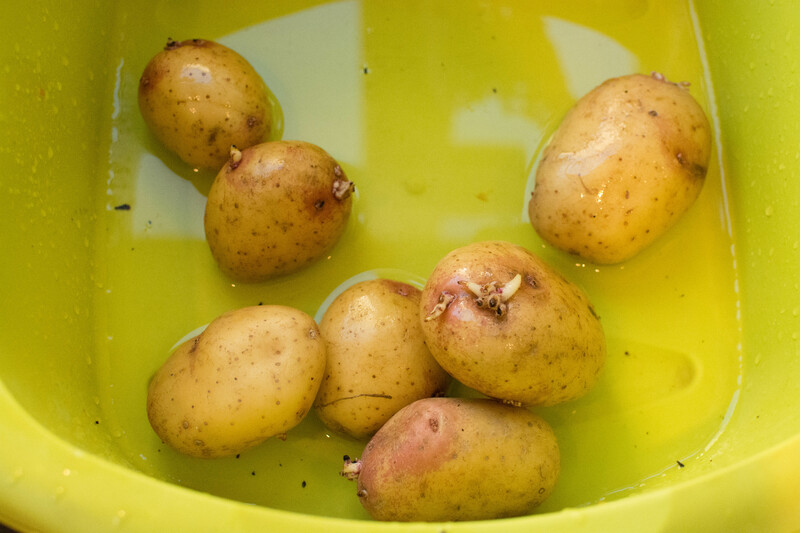 I often have a few potatoes lying in the bottom of the fridge that are just beginning to sprout and not a lot else in the house, apart from a cauliflower, I’ve normally got a cauliflower, they keep for ages, an onion and the odd carrot. 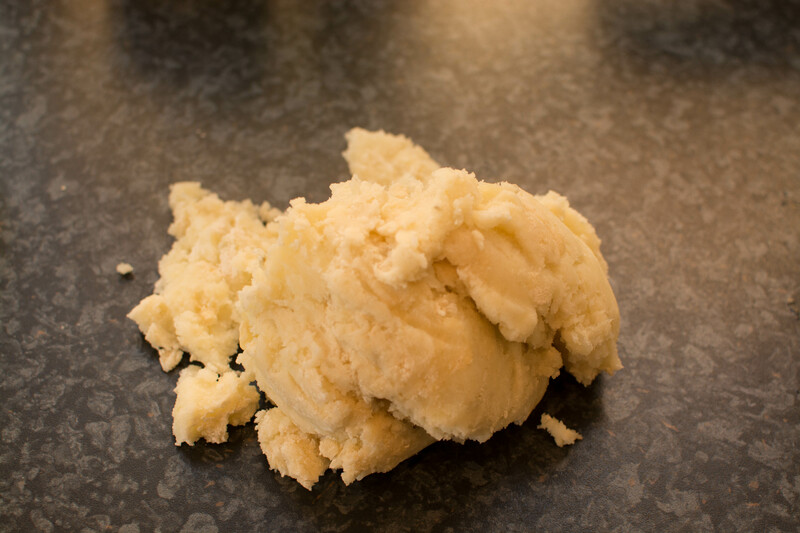 And so the choice for supper was mashed spuds, carrots, cauliflower and gravy with something or other and to be honest its not the same cooking that type of meal, for one. So I thought I would try my hand at a simple gnocchi. 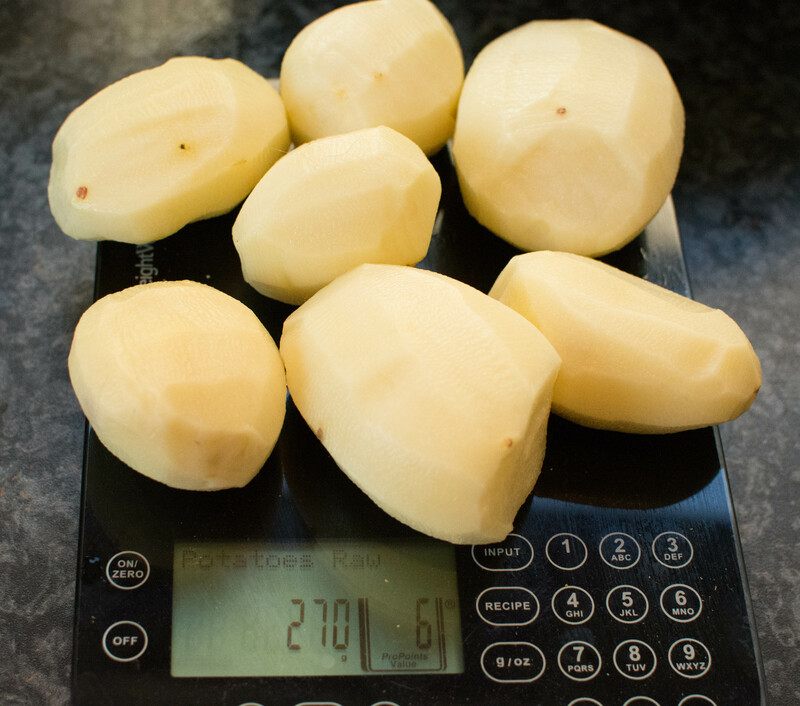 I peeled the spuds and weighed them and they came in at 270g and from other recipes on the internet I worked out that a reasonable ratio of flour to the weight of potato would be 60g and 1 small egg. 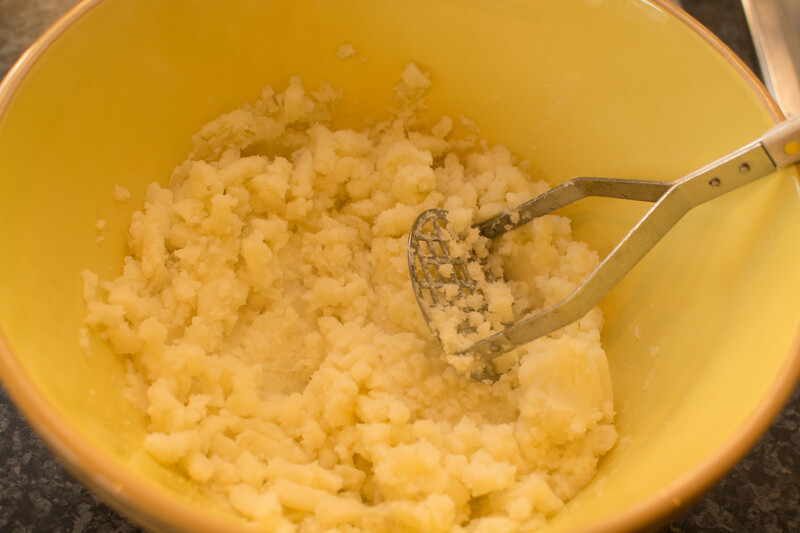 I then mashed the potatoes. 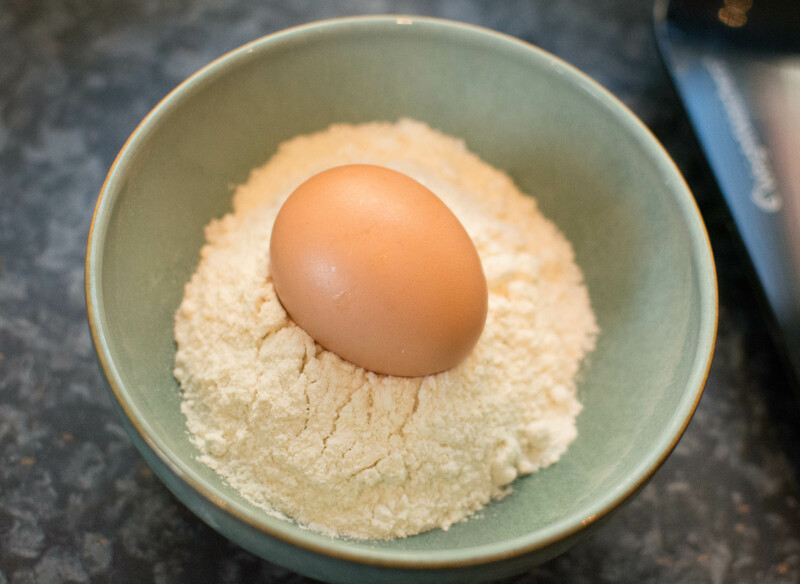 and added the flour and egg and seasoned with salt and pepper. Brought it together and placed it on the board and rolled small amounts into snakes and cut them into 2.5 cm lengths, marking the tops with a fork until I had this. Two very decent sized portions of Gnocchi, which if your interested in such things came to 7 WW Pro Points per plateful. At the same time I had been making a simple chicken soup/broth with some chicken thighs, cauliflower, carrots and onion and that was smelling lovely. But then I had to go out, which was the reason I’d been making my supper for when I arrived home much later. Later I just had to simmer my soup and gently drop my lovely Gnocchi into it, and wait the few minutes until they bobbed back to the surface which indicated they were ready. Blowing hard to cool the soup a little I then guzzled the soup greedily down. 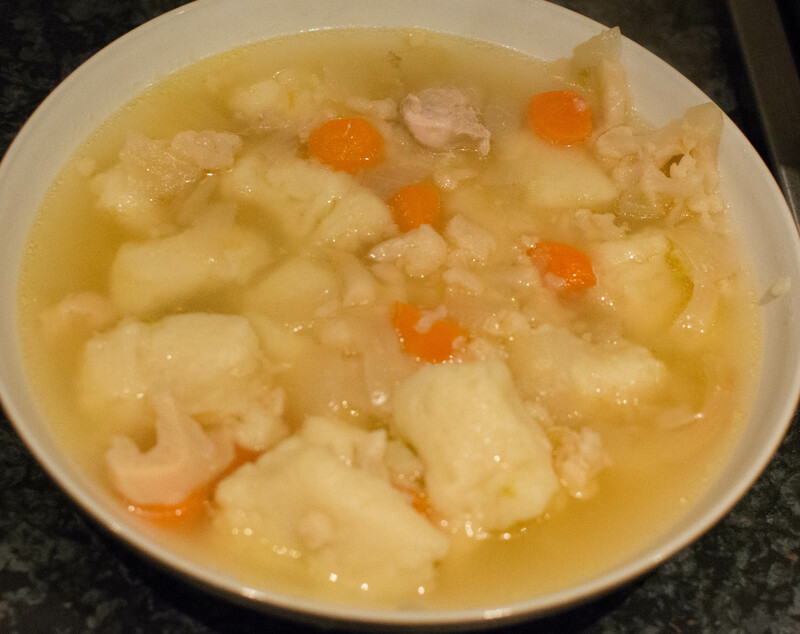 Its not the prettiest of photographs, it wasn’t the prettiest of soups, but it was delicious and most welcome. 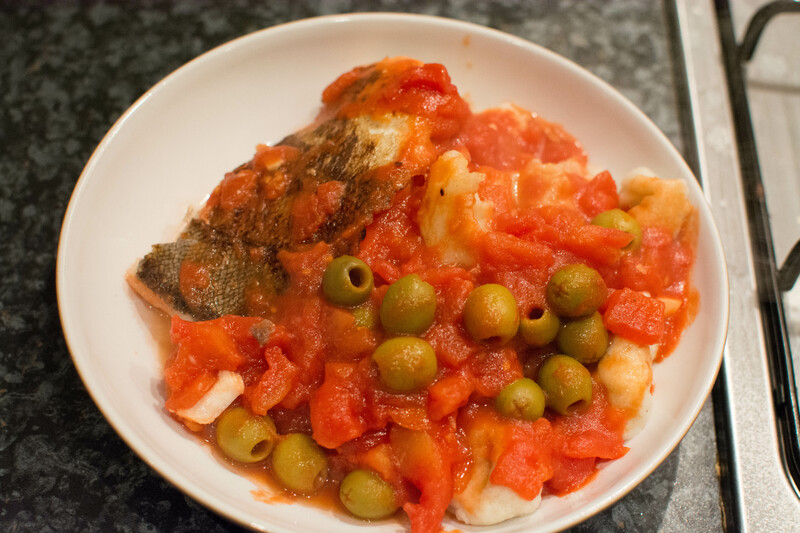 And the other half of the Gnocchi, the next day I bought some very fresh Haddock, one of my favourite of fishes, pan fried, made a simple tomato and olive sauce out of tinned tomotoes, a dash of vinegar, garlic, olives, salt and pepper, making the sauce in the same pan as the Haddock. Poached the Gnocchi in water until they rose to the surface and placed them in the sauce and served. Again, not the prettiest, but it was tasty, very, very tasty. 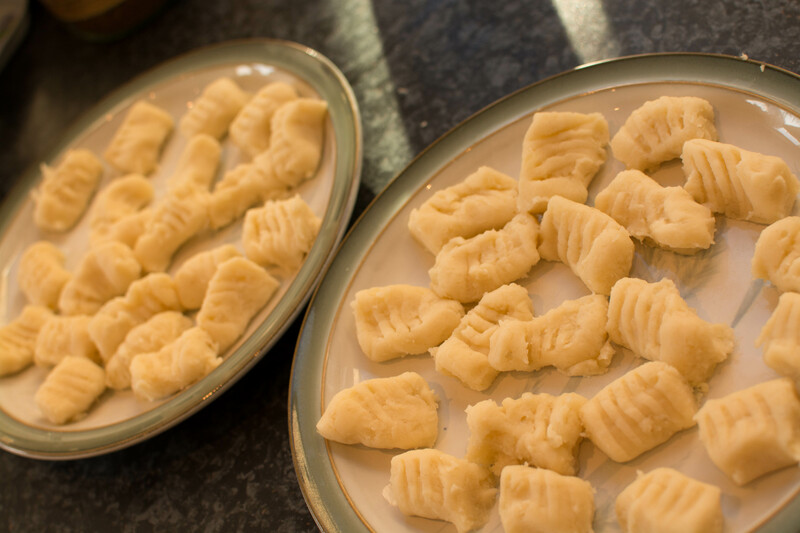 Gnocchi: lovely so versatile. By the way they freeze beautifully, separated, and can be cooked from frozen. Great made with pumpkin, butternut squash, spinach, etc. Your fish looks really tasty. 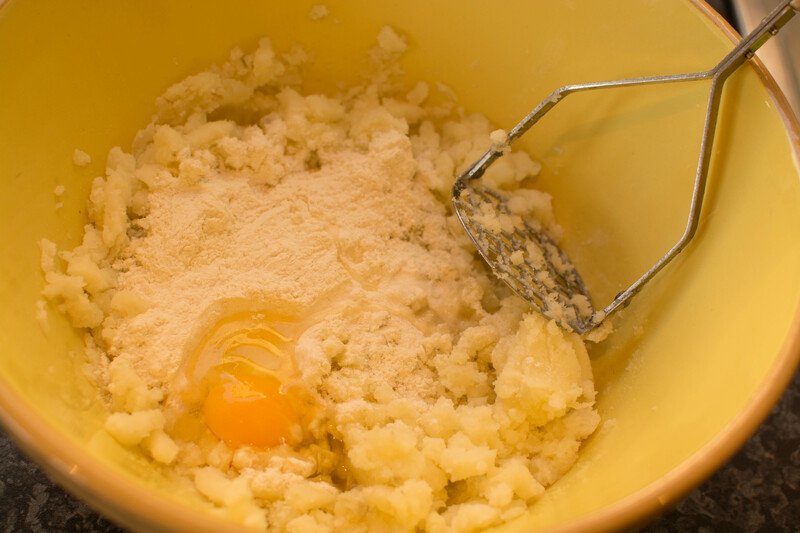 I have never made gnocci, is it really that easy?